We are specialists in creating exterior and interior ambience. We use the most innovative technology to turn the model into a true spectacle. Moving models are perfect for representing a project to scale with the highest level of detail. Moving models are those that open to allow us to see inside them, including details in the furniture and how the different parts of the building are distributed. 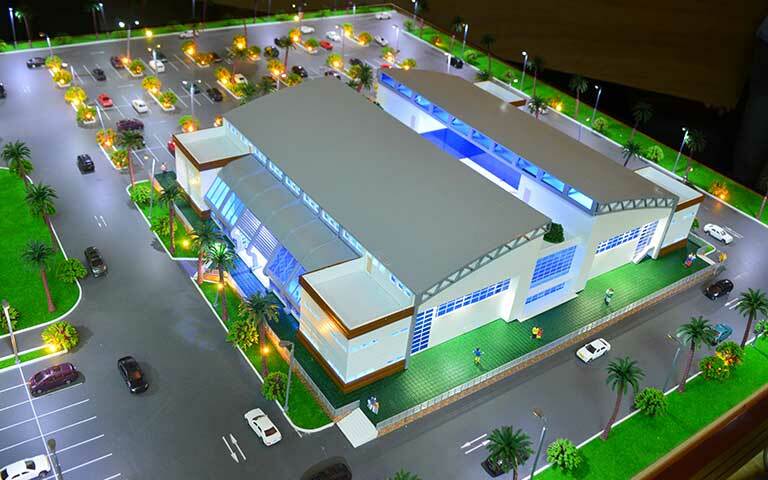 This type of model is one of the best tools for sales and property development, as well as for presenting new projects at trade fairs and conferences. Major projects require larger solutions. 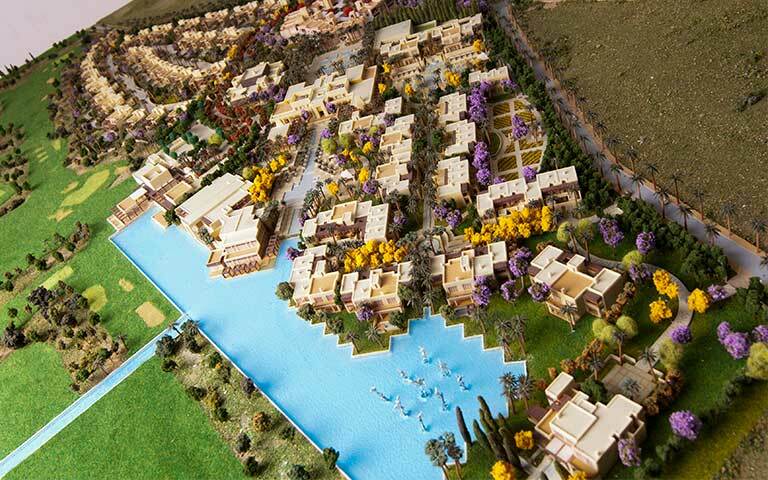 Masterplan models are built on an area larger than usual, and on a smaller scale compared to models of houses and buildings. 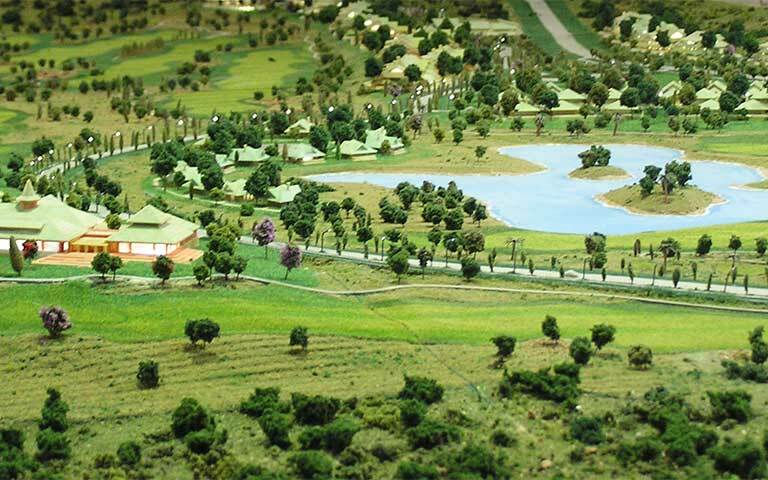 In this type of model, the terrain and the building’s surroundings are very important. At Maquetas.tech we guarantee the highest level of detail in the vegetation and ambience to achieve the perfect finish. Residential building models are the most common when it comes to representing a new real estate project. 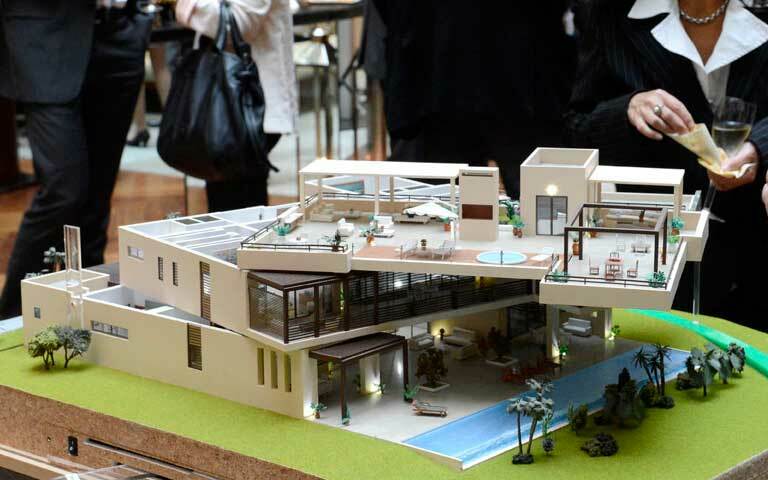 These models are of houses and residential buildings, and serve as a sales tool for the end customer. They are ideal models for property development – in our workshop we manufacture hyper-realistic models that will help convince any kind of audience interested in buying a new property. At Maquetas.tech we are specialists in the manufacture of golf course models, and we a pay a lot of attention to the quality of the detail. Golf courses are very complex projects proposed by architecture and topography professionals. To represent them to scale it is essential to create an exact topographical model of the terrain. Here in our workshop, we have the necessary experience. Shopping centres are large-scale projects, and therefore their construction requires the approval of various different stakeholders, such as investors and public bodies. Shopping centre models are the best tool for capturing and presenting the project, with the aim of obtaining the necessary funding and authorisation. They show a clear and realistic idea of what the real project will be like. Hotel models require a high degree of detail in both their structure as well as in their ambiance and proportions. 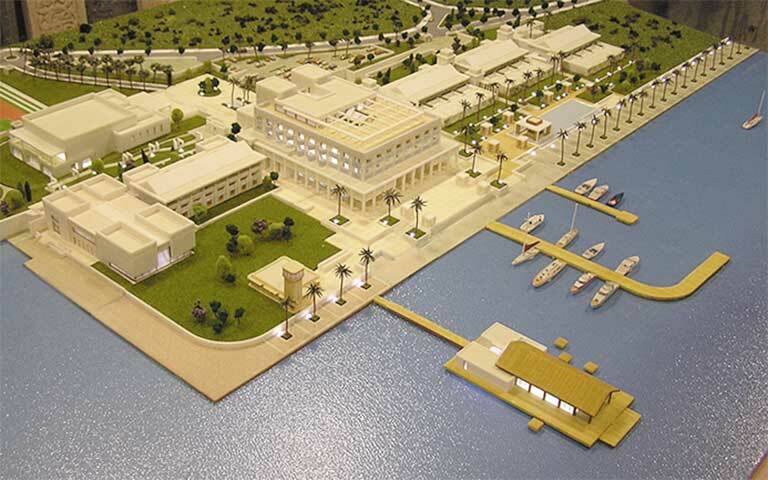 Our experience in the manufacture of these types of models allows us to reproduce all the areas that make up a hotel resort to scale and with an optimal level of realism. We emphasise the exterior décor, green areas and swimming pools, and we install all kinds of lighting systems. At Maquetas.tech we work for you, which is why our models are completely customisable. We use top quality materials and the most modern techniques, such as laser cutting and 3D printing. 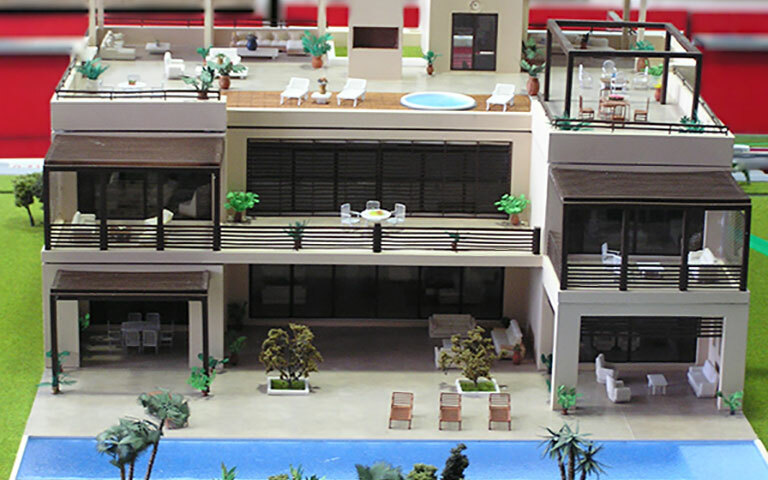 Premium models include all kinds of details: outdoor ambiance, furniture, lighting, cases for transportation, etc. We also offer a remote-controlled lighting system. 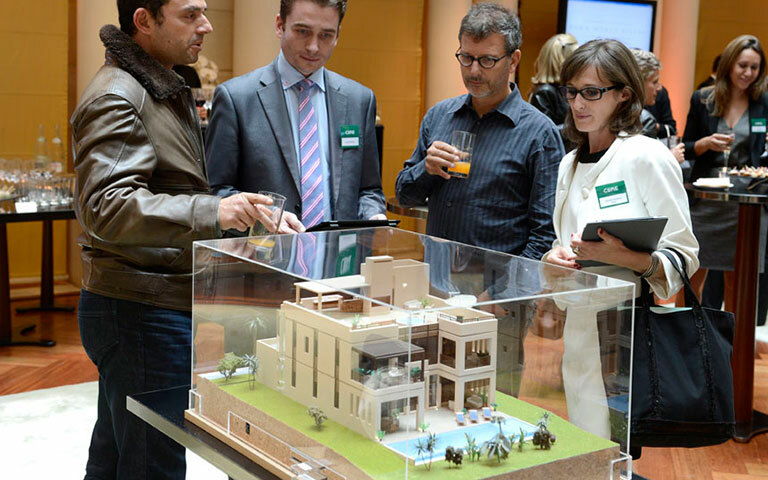 Interactive models incorporate new technology into their manufacture and exhibition. 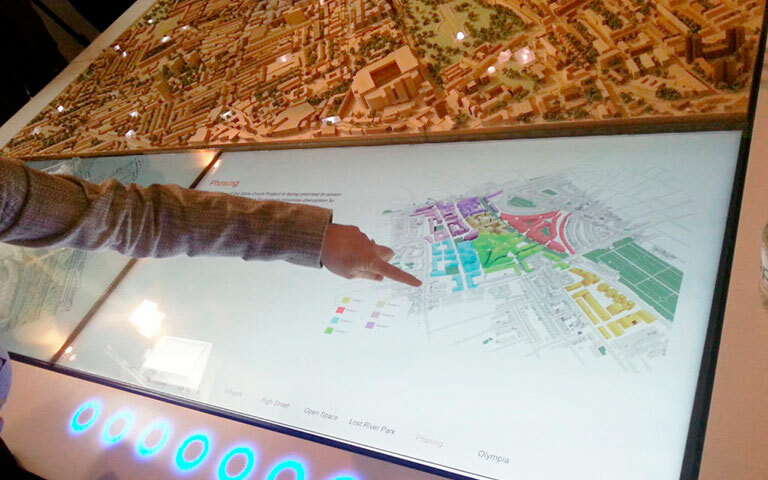 Through the use of touchscreen displays, the user can interact with the model in order to acquire more information. An interactive model speaks for itself, and can even present its information in multiple different languages. They are the perfect choice for urban development plans, or for attracting the attention of visitors at trade fairs and conferences.